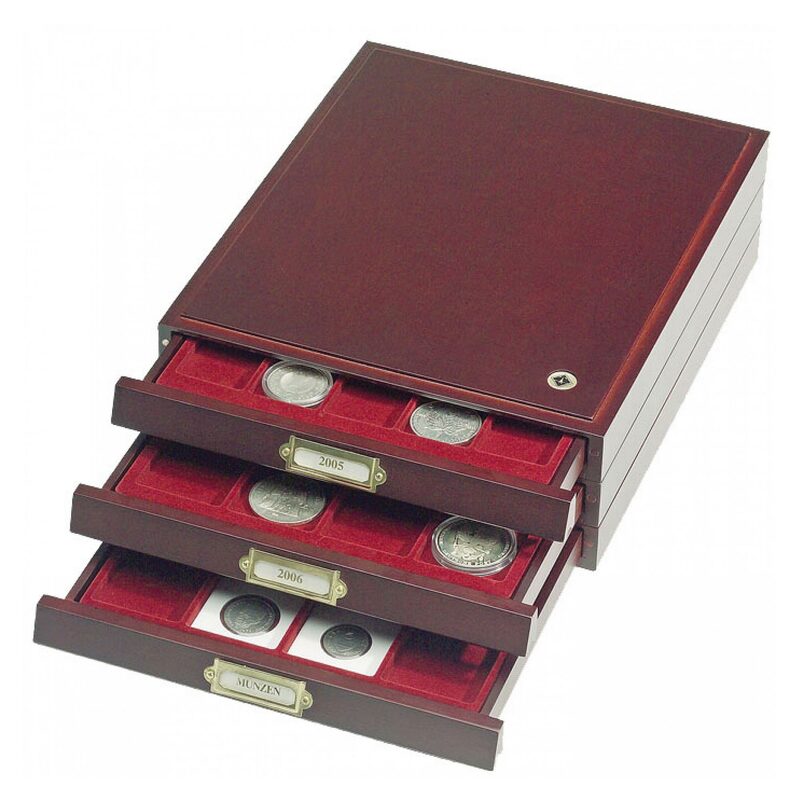 These elegant coin box drawers are beautiful way to safely store, organise and display your coin collection. Its stackable design and size mean it is easy to store on shelves or cabinets. With dark red velvety inlay and polished wood stain effect this is very stylish way to display your collection. Coins, within their capsules, fit in each compartment - this version is especially designed for Coins and Capsules up to 35mm diameter - check user guide of each Capsule's Product Page to find inner and outer dimensions of capsules. The pull out drawer has a brass effect labelling field at the front. Please note image shows stack of 3 box drawers. 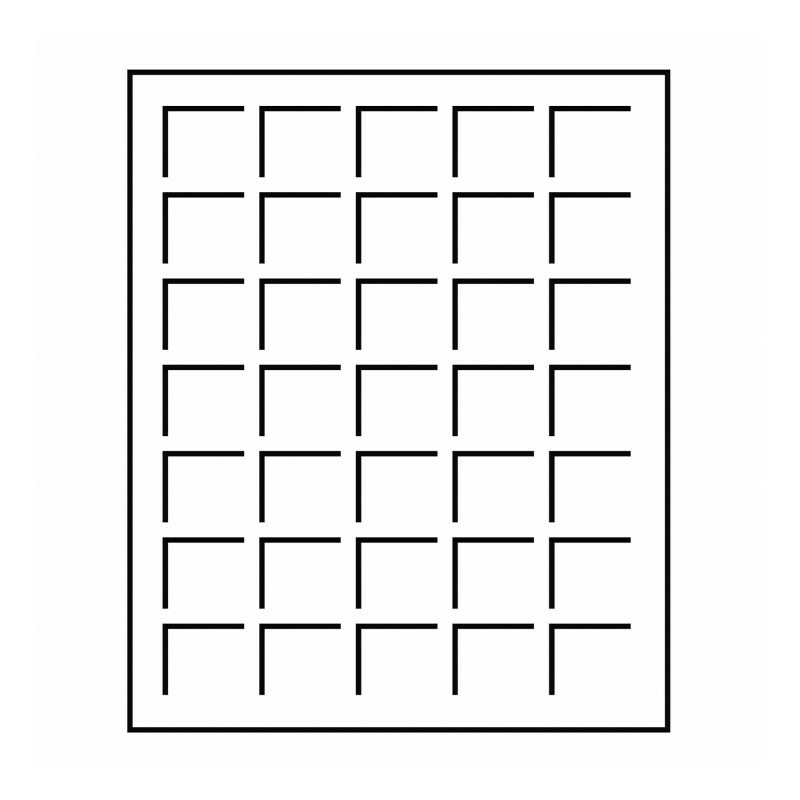 For similar drawer trays click here.